This paper provides a brief analysis of Hence, there is great scope for expanding the amount of research on corporate citizenship in Africa, as well as improving the diversity of its content and its geographic coverage. Corporate citizenship in Africa is a critical area of scholarly enquiry, driven by the legacy of colonialism and apartheid, the human needs of the continent in the face of widespread poverty, and the trend towards improved social responsibility by multinationals in a globalising economy. Despite this growing importance, however, very little research has been done on corporate citizenship in Africa. In his introduction to the Business Ethics: A European Review special issue on Africa, Rossouw (2000) claims that “the first signs of academic life in business ethics on the African continent can be traced back to the 1980s” (225), but concedes that it remains fragmented and limited. One of the reasons that this academic discourse is both interesting and important is that corporate citizenship in Africa has its own unique features, distinctive from other regions in the world. 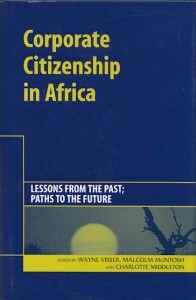 Rossouw (2000) suggests three areas that characterise business ethics in Africa: 1) On the macro-level, the influence of Africa’s colonial and neo-colonial past; 2) On the meso-level, the moral responsibility of business towards the reconstruction of African societies; and 3) On the micro-level, the way in which individual businesses deal with affirmative action to overcome the consequences of historical racism, sexism and economic exclusion. Visser (2005) argues that, in terms of Carroll’s (1991) pyramid model of corporate social responsibility, in which the layers denote relative emphasis assigned to various responsibilities, Africa exhibits a different ordering to the classic model. Specifically, economic responsibilities still get the most emphasis, but philanthropy is given second highest priority (as opposed to legal responsibilities in the classic Carroll pyramid), followed by legal (as opposed to ethical) and then ethical (as opposed to philanthropic) responsibilities. Furthermore, he suggests that, given the ethical dilemmas faced by companies in Africa, a more dynamic and sophisticated model of corporate responsibility may be more appropriate, such as one drawing on complexity theory (McIntosh 2003). In the first study of business ethics as an academic field in Africa, Barkhuysen and Rossouw (2000) found 77 courses and seven centres located in six countries, namely Egypt, Ghana, Kenya, Nigeria, South Africa and Uganda. Furthermore, they identified 167 relevant publications, including 130 articles and 26 books. The majority of articles were written by South African authors, followed by authors residing outside Africa, as well as some from Kenya, Uganda and Nigeria. The content was heavily focused on descriptive and normative ethical issues. Visser, W. (2006) Research on Corporate Citizenship in Africa: A Ten-year Review (1995-2005), In W. Visser, M. McIntosh & C. Middleton (eds. 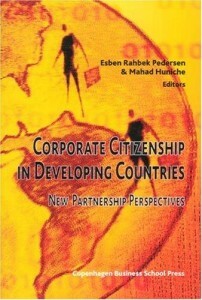 ), Corporate Citizenship in Africa: Lessons from the Past; Paths to the Future, Sheffield: Greenleaf, 18-28. 2005 saw a renewed interest in development and Africa, both regionally and internationally, most notably with the publication of Our Common Interest, the Commission for Africa’s Report chaired by the British Prime Minister with representatives from across Africa. This led to Africa being a specific focus at that summer’s G8 Summit at Gleneagles in Scotland, and, amongst other initiatives, the USA agreeing to reform, to some extent, its aid budgets to poor countries. This was, of course, prior to hurricanes Rita and Katrina that later in the year hit the Southern States of the US: exposing significant levels of poverty and neglect within the world’s richest country. The G8 meeting was preceded by Live8 which was seen globally by some three billion people, making it the world’s single largest event. Prior to this concert thirty million people signed a petition to the G8 leaders. As this book goes to press discussions are taking place on reform of the United Nations, one of the issues being how Africa could be better represented on the Security Council and other UN bodies. Despite this progress, much of the literature on Africa remains problem-focussed, seeing Africa either as a moral dilemma for the rest of the world or as a waste of good aid money poured down the drain. This attitude is propped up by a plethora of statistics that show how Africa remains a marginal region in global terms: With 12% of the world’s population (around 750 million people) in 53 countries, Africa accounts for less than 2% of global gross domestic product (GDP) and FDI, and less than 10% of FDI to all developing countries. Of the 81 poorest countries prioritised by the International Development Association, almost half are in Africa. And even within Africa, there is highly skewed development, with the largest ten economies accounting for 75% of the continent’s GDP. But there is also a growing desire to develop a better understanding of the world’s second largest continent and to celebrate the life of its people, literature, poetry, music, sport and social structures. And despite generally negative press, there has been significant progress on the continent over the past decade. Fifteen countries, including Uganda, Ethiopia and Burkina Faso, have been growing on average more than 5% per year since the mid-1990s. And foreign direct investment (FDI) rose to $8.5 billion in 2004, up from $7.8 billion the previous year. At the same time, Africa’s new generation of leaders, through initiatives like the New Partnership for Africa’s Development (NEPAD), the African Union and the East African Community, are taking responsibility for development. Visser, W. (2006) Corporate Citizenship in Africa: Lessons from the Past; Paths to the Future, In W. Visser, M. McIntosh & C. Middleton (eds. ), Corporate Citizenship in Africa: Lessons from the Past; Paths to the Future, Sheffield: Greenleaf, 10-17. This chapter explores the nature of corporate social responsibility (CSR) in an African context, using Carroll’s CSR Pyramid as a framework for descriptive analysis. Carroll’s CSR Pyramid is probably the most well known model of CSR, with its four levels indicating the relative importance of economic, legal, ethical and philanthropic responsibilities respectively. However, the exploration of CSR in Africa is also used to challenge the accuracy and relevance Carroll’s CSR Pyramid. If Carroll’s basic four-part model is accepted, it is suggested that the relative priorities of CSR in Africa are likely to be different from the classic, American ordering. However, it is also proposed that Carroll’s CSR Pyramid may not be the best model for understanding CSR in general, and CSR in Africa in particular. Anglo American is used as a case study to illustrate the debate. The debate over Africa’s future has taken centre stage recently, with the publication of Our Common Interest, the report of the Commission for Africa (2005). The report calls for improved governance and capacity building, the pursuit of peace and security, investment in people, economic growth and poverty reduction, and increased and fairer trade. It is not hard to see that business has a key role to play in this transformation process, with much of its contribution capable of being to be framed in terms of CSR. Despite generally negative press, there has been significant progress on the continent over the past decade. Fifteen countries, including Uganda, Ethiopia, and Burkina Faso, have been growing on average more than 5% per year since the mid-1990s. And foreign direct investment (FDI) rose to $8.5 billion in 2004, up from $7.8 billion the previous year (World Bank, 2005a). Africa’s new generation of leaders, through initiatives like the New Partnership for Africa’s Development (NEPAD) , the African Union and the East African Community , are taking responsibility for development (Lundy & Visser, 2003). Nevertheless, Africa remains a marginal region in global terms: With 12% of the world’s population (around 750 million people) in 53 countries, Africa accounts for less than 2% of global gross domestic product (GDP) and FDI, and less than 10% of FDI to all developing countries (African Development Bank, 2003, 2004). Of the 81 poorest countries prioritised by the International Development Association, almost half are in Africa (World Bank, 2005a). And even within Africa, there is highly skewed development, with the largest ten economies accounting for 75% of the continent’s GDP (African Development Bank, 2004). Is South Africa World Class? At the 2003 World Economic Forum, a global CEO survey on corporate citizenship was launched, representing companies with headquarters in 16 countries (including South Africa) and covering 18 industries. The report of findings identified ten key messages for engaging successfully with the corporate citizenship agenda. In this article, I use these ten messages as a framework for questioning South Africa’s progress in the corporate citizenship field. I also subjectively score South Africa on each issue, based on their relative global performance. The global CEO survey highlighted the important role of the chief executive as a champion of corporate values and a consensus builder on issues of corporate citizenship. Who are South Africa’s corporate citizenship executive champions? Who has taken it upon themselves to be an active campaigner for business’ contribution to society? South Africa certainly had such leaders in the past. For example, Pick ‘n Pay Chairman, Raymond Ackerman, was one of the 50 global executives that formed the Business Council for Sustainable Development and issued its report entitled Changing Course: A Global Business Perspective on Development and the Environment to the 1992 Earth Summit. But who has taken over the mantle? There certainly seems to be several contenders from the Anglo American stable: Perhaps someone like Michael Spicer, former Executive Director: Corporate Affairs and Executive Vice President of Anglo American plc, and now Chief Executive of the South Africa Foundation? He has taken high profile positions on corporate citizenship issues and seems to embody a heartfelt commitment. Or the tireless efforts of Chairman of Anglo’s Chairman’s Fund, Clem Sunter, who has championed both the HIV/Aids and sustainable development causes? Or do we look to Anglo’s Chairman, Sir Mark Moody Stuart, who managed Shell’s difficult transition towards embracing sustainability? Who are the others? South Africa needs business leaders who are vocal champions for corporate citizenship. I am not referring to CEOs who simply embrace the rhetoric in their annual reports, but to individuals who are personally committed to the cause of social upliftment and ecological protection – leaders who lead the corporate citizenship movement from the front, with passion. We all need something to believe in, and our corporate leaders are in the unique position of being able to create a vision of how we can make a difference in South Africa. Who will stand up and be counted? Visser, W. (2005) Corporate Citizenship: Is South Africa World Class? The Corporate Citizen, Trialogue: Johannesburg. What have ten years of democracy meant for the corporate sustainability agenda? This section looks back at what have been the main catalysts for change since 1994, the trends where substantial progress has been made and the key areas where companies still lag international best practice. The wave of legislative reform initiated by the post-apartheid government fundamentally changed the landscape of corporate sustainability. Between 1994 and 2004, approximately 60 entirely new or substantively revised statutes were introduced which had direct implications for corporate management of safety, health, environment, socio-economic development, labour, governance and ethics issues. Some of these, such as employment equity and black economic empowerment, reflected the aspirations of the ANC’s pre-election Reconstruction and Development Programme (RDP) agenda, while others, like sustainable development and corporate governance, strongly echoed international trends. At the same time, South Africa’s re-entry onto the international staged forced many companies to raise their sustainability standards to meet global market expectations. As a direct result, there was a substantial increase in environmental management certification and sustainability reporting, as companies like BHP Billiton, Anglo American and Old Mutual, which became Fortune 500 companies, and SABMiller, Lonmin and Dimension Data, which became FTSE 250 companies, quickly upped their game to conform to the corporate governance requirements of the New York and London stock exchanges and the corporate sustainability requirements of various social and environmental investment indexes. Newly empowered by the law and supported by international NGOs, South African civil society also became visibly more active in challenging companies on the basis of the public’s social and environmental constitutional rights. Cases in which companies became the target of such stakeholder activism included the likes of Thor Chemicals, AECI, Caltex, Iscor, WasteTech-Enviroserv, Sasol Mining, Cape plc, Gencor, Anglo American, De Beers and GlaxoSmithKline. Not surprisingly, there has been a parallel trend among companies of improved public transparency, increased stakeholder involvement and active pursuit of public-private partnerships. Given these pressures to demonstrate their corporate sustainability, South African companies have followed the international trend of codification, i.e. adopting standards and guidelines as a form of voluntary self-regulation on social, ethical and environmental issues. The codes which have had the most impact include ISO 14001 (for environmental management), the King Code (for corporate governance) and the Global Reporting Initiative (for sustainability reporting), while the influence of other frameworks like those on social accountability (e.g. 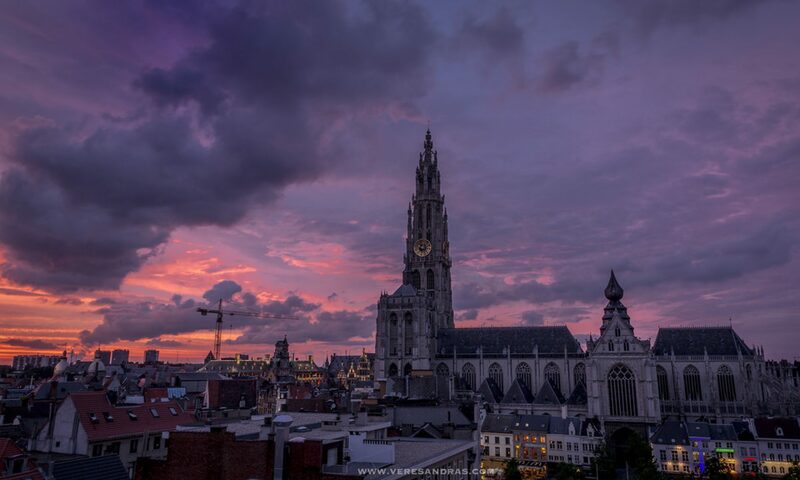 AA 1000, SA 8000) and general corporate citizenship (e.g. the Global Compact, the OECD Guidelines for Multinationals) have been more limited. Over the last decade, corporate sustainability has steadily broadened from an initial focus on philanthropy and environmental management towards including health, safety, labour, community and broader socio-economic issues. By the time Trialogue surveyed the top companies in 2004, 100% regarded corporate citizenship (reflecting the contemporary broad definition of corporate sustainability) as a priority, with 52% giving absolute priority status and 32% high priority. Visser, W. (2004) Corporate Sustainability in South Africa: A Ten Year Review. 2004 KPMG Survey on Integrated Sustainability Reporting in South Africa, KPMG: Johannesburg.